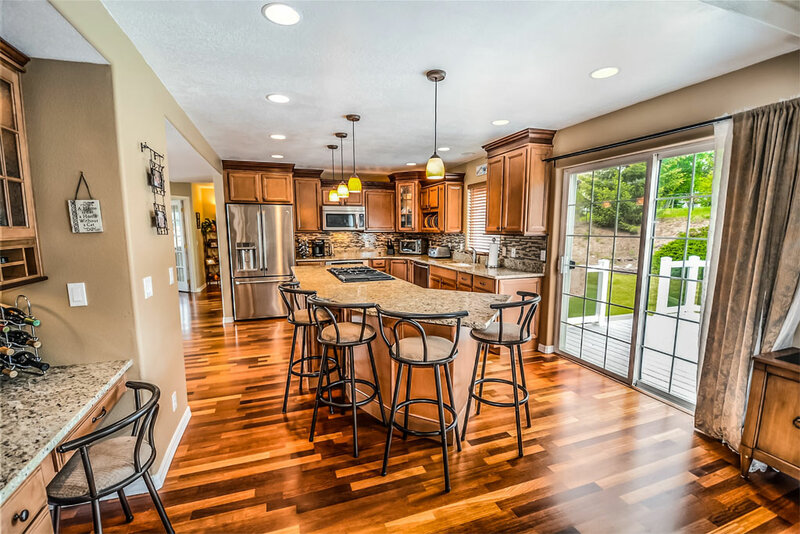 Granite countertops are the favorite choice of homeowners everywhere. They are sturdy and reliable, and they look great too. However, they do require some maintenance and some good habits to keep them looking their best. Here are some of the dos and don’ts when it comes to maintaining and cleaning your granite counter. Granite is more stain resistant than other options, but it is still best to clean up immediately if you spill something. Acidic liquids, such as juices, sauces, sodas, and wine will certainly stain if left too long. As well, cooking oils can also be a a danger. Blot up those stains right away and your countertop will be gleaming for years. Most of the household cleaners you buy at the store will have acidic ingredients in them. It is best to avoid these as they will eat away at the sealant on your granite over time. Only use cleaners that are specifically made for granite and you won’t have any problems. For deep cleans, you can use the aforementioned specialty products. However, when you need a quick wipe up, simply hot water will be just fine. However, it is best to use a soft cloth or a sponge to do your cleanup. It will be gentle on the surface and will not scratch away the sealant over time. You may remember hopping up on your laminate countertops when you were a kid and having a seat. Or maybe you used to actually stand on it to reach a certain cupboard. As an adult, make sure to use a step stool. If you put too much weight on a granite countertop, it may crack. They do not have wood to support them, so if you are not careful there could be problems. Granite is scratch proof, but it is still a good practice to place a coaster under your drinks when you place them on the counter. This will protect the surface and ensure there are no scratches. Granite is stain proof when properly sealed, but there is a limit to this. Too many people leave things like cooking oil on the countertop in the kitchen, or cleaning products on the bathroom counter. These are things that have a habit of leaking or getting spilled. If a substance is left on a granite surface for too long, then it will still be at risk of staining. Store those items in a cupboard, or use something to protect your countertop if you need to leave them out for storage. Sure, granite is billed as a material that can withstand heat, even if you place a pot of boiling water directly on the surface. However, placing pots on the countertop can cause other problems. For instance, grit and dirt can get stuck on the bottom of the pot then scratch the granite when it gets placed down and moved around. Over time, those small scratches can add up and look awful. This also goes for cutting. You could theoretically cut things right on the countertop, but it is best to use a cutting board to protect it. Granite is an amazing product that is functional and durable. Follow these dos and don’ts to keep your granite countertop looking great.